Elon Musk dropped some interesting phrases at a recent event for Tesla investors, among which was the revelation that Lidar, a laser-based scanning technology that creates 3D images of objects, is "something stupid" and that "anyone who trusts LiDAR is doomed. " This sounded quite radical given the number of autonomous cars that rely on technology, but researchers from Cornell University, United States, have endorsed Musk's predictions thanks to a new method for autonomous cars to see the world in 3D using a couple of cheap cameras. Being able to visualize and detect objects around a vehicle in three dimensions is crucial for autonomous cars to operate safely, in a world where roads are shared with other vehicles, cyclists and, often, pedestrians. As a driver, every time you turn your head to scan what is around your car, your brain instantly visualizes your surroundings in 3D and assesses the possible dangers. The use of cheap sensors to detect objects near an autonomous car is not enough. When you travel on the road at 100 kilometers per hour, the car must see what is approaching and thus be able to plan what is necessary to avoid the dangers. That is why it is common to see Lidar systems (light and range detection systems) placed on autonomous cars. Using rotating lasers, they scan the surroundings of a vehicle and generate 3D images of near and far objects, allowing the software to analyze the results and identify things that should be avoided. However, Lidar is very expensive, often adding about $ 10,000 in additional parts to the price of a car, and needs to be positioned on the vehicle to get the best perspective. Currently the industry is trying to maximize the range of electric cars and gas, so a Lidar system adds a lot of resistance to the aerodynamics of a car and its performance. In a study to be presented in June at the conference on computer vision and pattern recognition in 2019, called Pseudo-LiDAR of visual depth estimation: reducing the detection gap of 3D objects for autonomous driving, Cornell researchers detail a possible breakthrough for autonomous cars. Cameras have generally been considered a technology inferior to Lidar, since they are often installed at low angles near the car's bumper, which results in images that tend to distort objects in the distance, something that confuses networks neurons that try to process and interpret the data. But by placing a pair of cameras on either side of a vehicle behind your windshield, stereoscopic images are produced that can be converted to 3D data. Because the images are generated from a higher point of view, closer to where the Lidar systems are usually installed, it was determined that the 3D data, which were generated from the cameras, were almost as accurate as what the laser scanners can generate, without distortion, and with a much lower cost. However, it will probably be a long time before this research reaches the autonomous cars. Lidar remains reliable and incredibly accurate, and the companies that work in these cars are currently more concerned with safety than with costs. But as technology and software improve, and the restrictions that limit where and when autonomous cars can circulate are disappearing, driving autonomy will soon be a major concern for consumers looking to buy a new car, and they Yes, they worry about the costs. The Cornell researchers' approach will make it much cheaper to implement autonomy features in cars, and perhaps over time could make Lidar obsolete. 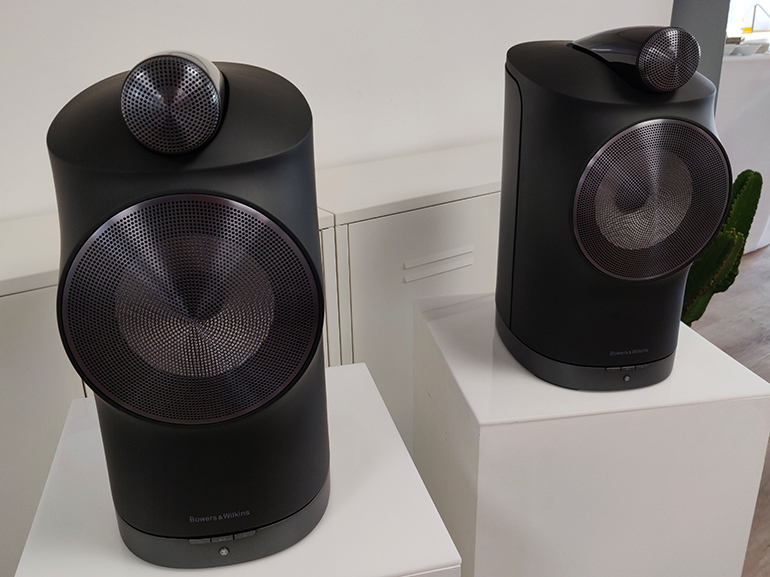 The family of Bowers & Wilkins connected devices hosts not one but 5 newcomers, gathered under the same name: Training. 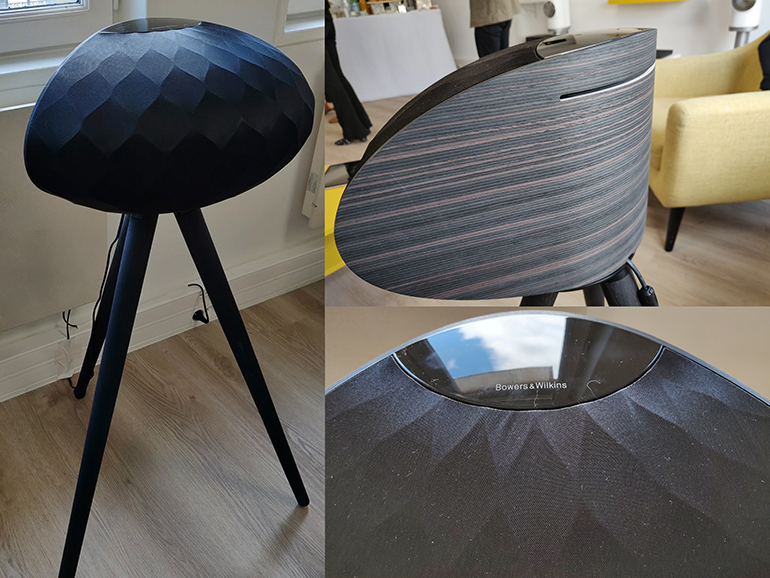 With this new range premium multiroom, which should also expand later this year, the brand intends to compete with the most famous players in the field as the very high end Devialet. 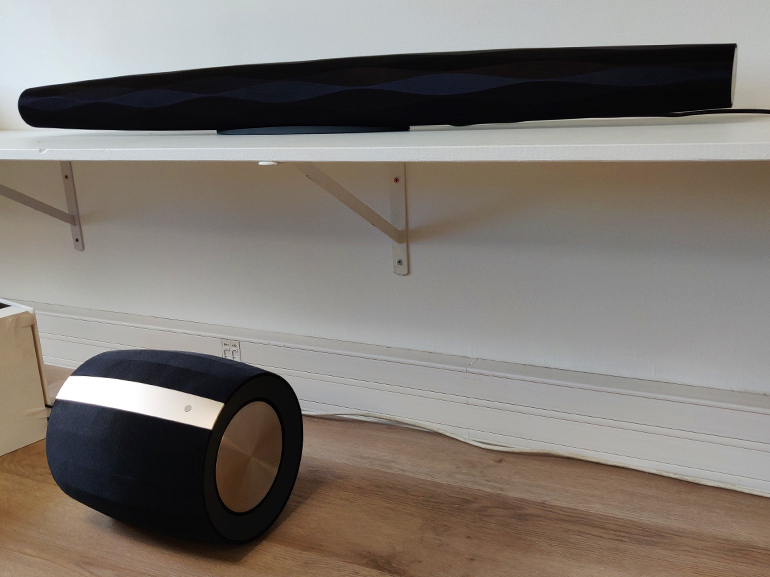 For this, the British manufacturer draws 4 speakers: a pair of speakers in "library" format dubbed simply Training Duo and is reminiscent of the series 700 and 800, a stereo speaker that is positioned in heir to the famous model Zeppelin , called Wedge Training, a sound bar and a subwoofer, the Bar Training and Bass. All this comes with a hub (guess the name: Training Hub) to connect multiple analog sources to the various devices, since they work entirely without wires. Moreover, B & W puts the emphasis in its communication on its technology of Wi-Fi mesh 5GHz which would according to the manufacturer to obtain a perfect synchronization throughout the house, even if one connects more than fifteen high speakers. The system is managed of course with a mobile application, Training Bar and Duo have an RJ45 port (the soundbar also includes an optical port that can be used later to accommodate two rear satellites to 5.1), but that's all. To connect your sources wired, it is imperative to go through the Hub which in addition to providing the same wireless capabilities, has a Toslink audio input and two RCA inputs, as well as RCA outputs in case you use it on other speakers. 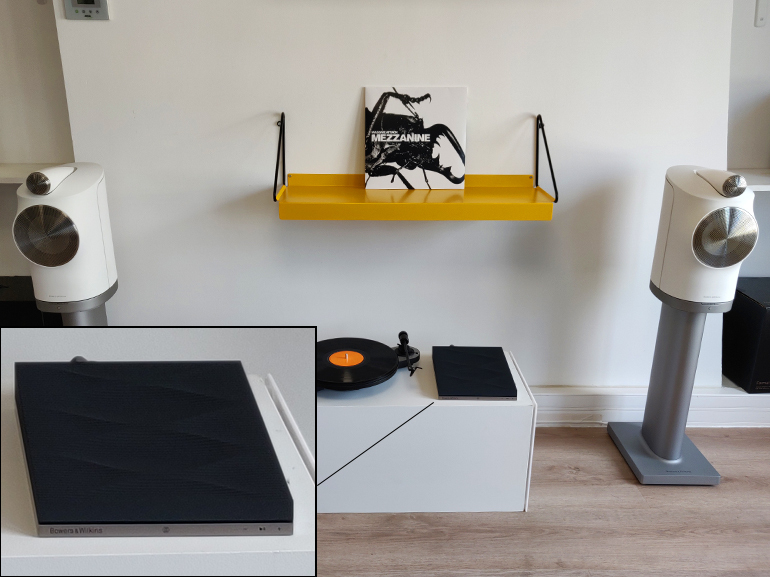 The goal: to seduce audiophiles connected with high definition 24-bit / 96 kHz wireless broadcast throughout the home. 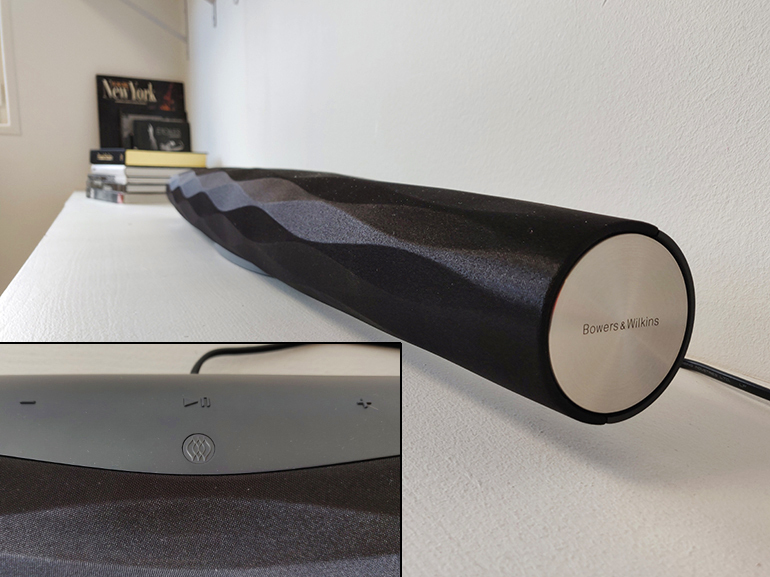 Supporting Bluetooth 4.1 (aptX HD, AAC, SBC), all speakers (and the hub) are compatible with AirPlay 2 and Spotify Connect, but also the Roon audio player. By cons, the brand has surprisingly chosen to ignore the personal assistants. None of them are natively integrated, but the products will still get an update allowing them to contact Amazon Alexa ("Works with Alexa") in the coming months. All products are currently being deployed. They will arrive on the market in the next few days. How a challenge is done viral is a mystery, but this Wednesday April 24 a challenge was positioned in the networks and flooded Twitter with photographs of mature people. What happened? Well, it is not clear how this challenge began, but the 40 are the new 30, or at least that's what the users believe that they have uploaded photographs all day, proud to have reached or passed the four decades. The challenge It has a certain relationship with the # 10yearschallenge, which consisted in comparing "our self" from a decade ago with the current one. Kylie Jenner, Miley Cyrus, Jennifer Lopez, Jessica Biel, Luis Fonsi and Alejandro Sanz were part of the challenge. Nintendo Switch Lite: scheduled launch in June? A simpler format for a more affordable price? The rumor has been circulating for several months, a "Lite" version of the Nintendo Switch is in development. Last October, the very serious Wall Street Journal already mentioned this possibility. After all, it's been two years since the console is commercially available. 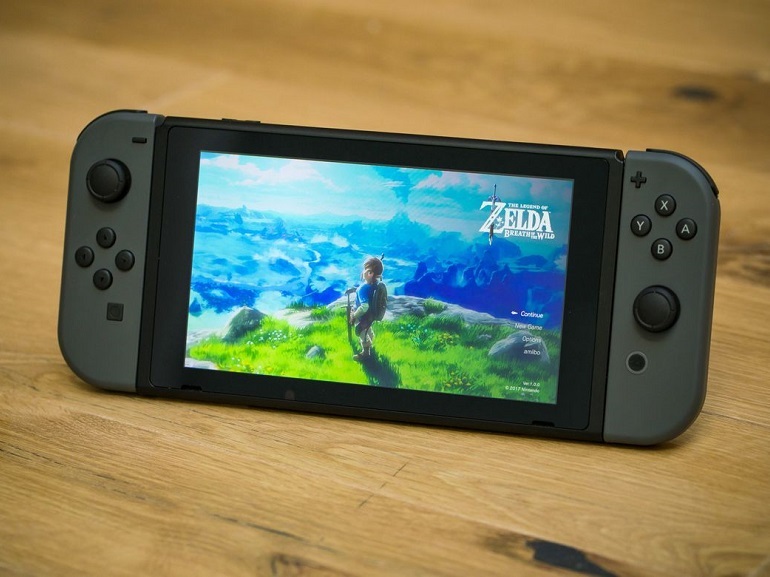 The idea would be to capitalize on the positive image of the Switch to launch a portable version. As a reminder, the Switch has sold more than 30 million copies since its launch in March 2017. This excellent performance has enabled the Japanese company to get back on its feet financially. According to the Bloomberg news agency, the presentation would take place fairly quickly, in the first half of 2019, for commercialization at the end of June. Bloomberg says that "insiders" who collaborate or work on the project have not confirmed the information. In terms of positioning, this version could be more affordable, but also simpler than the original Switch. There would be no removable joy-con and the format would be more compact. In the end, it could replace or replace the Nintendo 3DS whose design is no longer very young. Outside, it thunders and thunders. Do you always think of the old advice that you should pull out the plug in a thunderstorm in all electrical appliances? Read here if this tip is still up to date. If we sit in the warm, while it rains and storms outside, then some of this spectacle can certainly make something comfortable. But when it flashes outside, it hides behind it the huge current of 20,000 amperes. That's why the warnings about thunderstorms are to be taken seriously. Flashes cause millions of dollars worth of damage every year, repeatedly destroying electrical appliances. Does the lightning conductor provide protection? The lightning rod was invented back in the 18th century, but even today, not every house is equipped with it. Lightning rods are neither legally nor technically prescribed, so you should first find out if your house owns one before you rely on it. In addition, lightning rods have unintentionally received company on the roof, such as satellite dishes and solar panels, which can attract lightning. And inside the house there is also a problem, because here long metal pipes run through the walls. When a lightning strikes a house, it can happen at enormous currents that so-called secondary currents can flow through the power lines, which may then be dangerous to your electrical appliances. To protect against such secondary currents, there are overvoltage protection devices. These are divided into categories of 1 to 3 in strength. Devices of type 1 sit z. B. in the places of the building, where lines lead from outside to inside. These are still too weak to protect the electrical appliances themselves. Only Type 3 protects your devices. Such a protection is partly installed in electrical appliances themselves and in addition there are surge sockets. So it is true that electrical appliances must be disconnected from the mains during thunderstorms. But if you want to save yourself the annoying plug pulling, you can also simply use socket strips with surge protection. These protect your devices and the manufacturers provide you with additional insurance coverage. If your devices and lines are not protected by overvoltage protection devices, only one thing remains in case of a thunderstorm: Pull the plug! When the infamous Article 13 was adopted, the European Commission specified that memes would remain protected against copyright. That does not mean that brands can not take advantage of the shitposting and other forms of internet parody. If not, tell Nickelodeon. 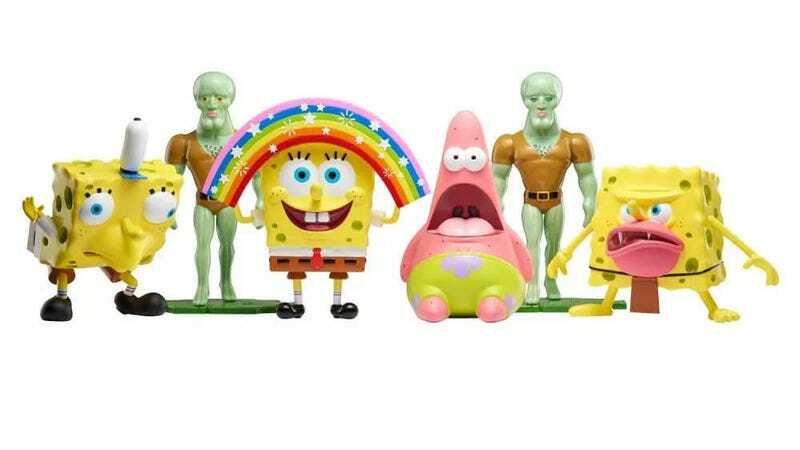 The television channel has licensed the characters of Sponge Bob to sell official figures of his most famous memes, from the very surprised Patrick to the disturbingly attractive Squidward. The figures are vinyl, they measure 20 cm high and can be found on Amazon for $ 22. The most surprising thing in the matter? All are temporarily exhausted. An edge-to-edge slab, a triple photo sensor, 128GB of storage, and a high-capacity battery; the Mate 20 is a reference high-end smartphone that is sold by Amazon on Wednesday at 468 euros against 799 when released in October 2018. The excellent Huawei Mate 20 has a 6.5-inch IPS LCD screen with a resolution of 2244 x 1080 pixels (381 dpi), under the hood is a Kirin 980 processor with 8 cores (2.6 GHz), 4 GB of RAM, a 4000 mAh battery and 128 GB of storage. A nice machine that will run without any problems all the applications on the Google Play Store. It also incorporates a triple photo sensor at the rear: 12 mpx f / 1.8 + 16 mpx f / 2.2 + 8 mpx f / 2.4 and 24 megapixel in the front. 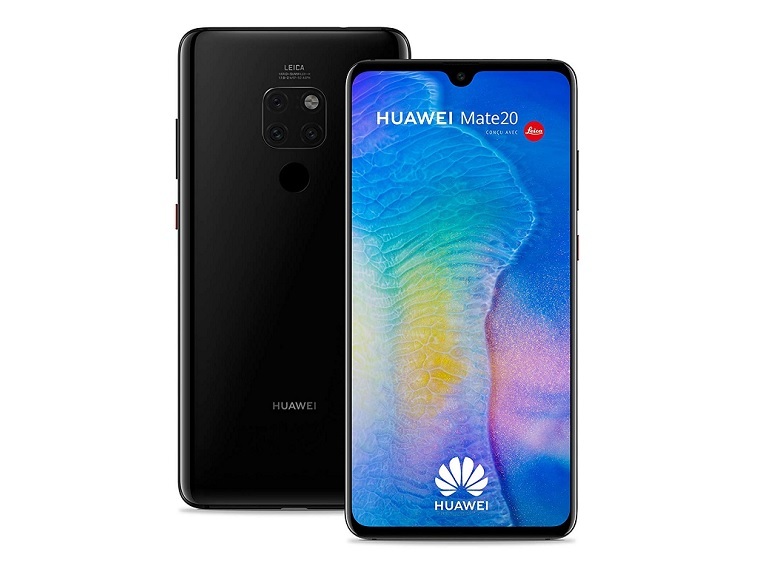 If you are interested in Huawei Mate 20 at 468 €, click on the link "enjoy this good plan" below to access the offer. The product sold and shipped by Amazon. Small but bully: that's the Huawei P30 Lite. On March 26 Huawei introduced its new family of smartphones, the Huawei P30, with a clear focus on photography. To the portentous P30 Pro and the P30 is accompanied by a small brother ideal for those with a somewhat reduced budget, the P30 Lite. The phone has height features such as a FullView 6.15-inch screen with FullHD + resolution and aspect ratio of 19.3: 9. In terms of power also comes well charged, with an eight-core processor Kirin 710, along with 4GB of RAM, 128 GB of storage and Android 9 Pie. All this comes powered by a 3,340mAh battery compatible with fast charging system. Like the rest of his brothers, the phone has a powerful photographic equipment formed by a triple rear camera with three sensors of 48, 8 and 2 megapixels. This camera is capable of performing bokeh mode and has the interesting night mode that its older brothers also have. 349 euros, in a single configuration with 4GB of RAM and 128 GB of internal storage. The company said in its announcement that the phone will include as a gift its wireless headphones FreeBuds Lite while supplies last. 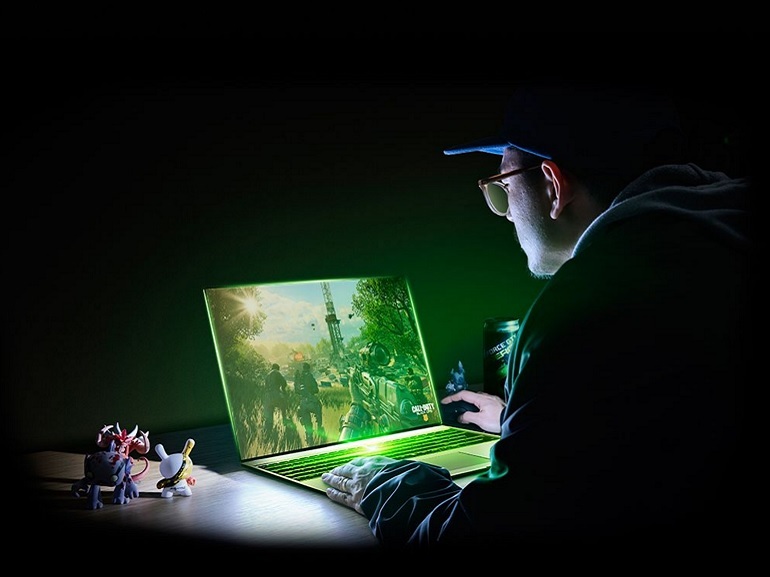 Nvidia has just introduced its new GeForce GTX 1660 Ti and 1650 GPUs based on Turing graphics architecture for gaming laptops. Not surprisingly, the goal is to provide better overall performance in games while improving thermal management. Based on the data transmitted by Nvidia, the good forward compared to the previous generation does not seem gigantic. The GTX 1650 is announced up to 1.7 times more powerful than the GTX 1050 and the GTX 1650 Ti up to 1.5 times better than the GTX 1060. We note also that the base frequency is not not especially high and that the GTX 1650 could be fairly quickly limited with 4 GB of GDDR5. Regarding performance in games, Nvidia offers a short report to get a first idea. Accompanied by an Intel Core i7-9750H processor and 16 GB of RAM, the GTX 1660 Ti gets 102 fps in Apex Legends with max settings. 115 fps in Fortnite and 94 fps in PUBG. The GTX 1650 is doing worse with an Intel Core i7-8750H processor and 2×16 GB DDR4. She gets 67 fps in Apex Legends, 72 fps in Fortnite and 71 fps in PUBG. Note that the 1650 is also available in a desktop PC version. The latter reduces the number of CUDA cores to 896, but compensates with a higher base frequency at 1485 MHz. It is always accompanied by 4 GB of GDDR5 and its thermal envelope is 75W. The graphics card is offered at 159 euros which allows it to easily fit into a cost-controlled gaming configuration. Avengers: Endgame is the end to a story that has been cooking for just over 10 years, and Marvel has always known to give us a small preview of the next episode of the saga in the form of post-credit scenes in each film. Below you will find all the most important MCU, to prepare you before the end of the history of the gems of infinity. And it was in one of these post-credit scenes the first time we saw the one who would become MCU's biggest villain until now, Thanos, just as it was in another the first time we heard someone mention the word "Avengers." Each of these scenes has been significant, so it's time to take a nostalgic stroll through all the post-credits moments of the MCU, thanks to some tweets published by Marvel. "Of the end of the credits at the end of the game". In the Hombre de Hierro We were able to meet Nick Fury, who was introduced to Tony Stark to talk about the "Avengers Initiative". In The Incredible Hulk it is Tony Stark who is introduced to General Ross, to tell him about the team they wish to train. Tony Stark's second solo movie showed us the impact of something on Earth, which turned out to be Mjolnir, the hammer of Thor. Agent Coulson finds him and calls Fury to notify him. In the first movie of Thor, Fury calls Doctor Selvig to make him study a rather peculiar object, the Tesseract, which at that time was described as "unlimited power". Loki, secretly, controlled Selvig. In the scene of The First Avenger, Captain America had already awakened from his long sleep and Fury is with him to tell him that he has a mission "to try to save the world". The scene of The Avengers he gives us a first look at Thanos about his throne, who turns out to have been scheming his macabre plans from the beginning. In addition, another scene shows us one of the funniest moments in the history of the Avengers, their meeting to eat Shawarma. In iron Man 3, Tony Stark begins to show his great appreciation for Bruce Banner, telling him personal things, although Bruce falls asleep. It is a funny scene, although irrelevant to the general plot. The scene of Thor: The Dark World, one of the worst deliveries of the MCU, gives us a very important fact: not only saw another of the gems of infinity in the film, but the Collector confirms that there are six. In the scene of The Winter Soldier we see that there is still a small part of Hydra alive on Earth, which has in its possession a gem of infinity (Loki's staff) and reveals its power to create beings with amazing abilities, since it gave life to the "twins", including Wanda Maximoff, Scarlet Witch. Another funny scene, this time showing the Collector with his destroyed collection, and that includes the appearance of Howard the duck. Thanos is tired of his henchmen fail, so for the first time we see him use the infinity gauntlet and he says "It's okay, I'll do it myself". The crazy titan prepares to go to war. Steve and Bucky are reunited, and both Captain America and Falcon are rebels and know the approaching conflict, a civil war. In fact, more than a post-credit scene, this is a scene that is directly part of the next film. The civil war is over. Captain America flees to Wakanda with Bucky Barnes, after stopping Baron Zemo and his plans, and the ex-winter solider begins his healing process. This is the first look we give to the kingdom of Black Panther. Another scene taken from the next movie. This time, the supreme sorcerer offers Thor to help him find his father, Odin, who is missing from Thor: The Dark World, to get Loki out as soon as possible from Earth. More comedy scenes. This time, Peter Quill experiences in his own flesh what it is to be the "father" of a teenager, thanks to Groot. This film completely full of comedy featured a very interesting and important scene after the credits. While the survivors of Asgard began their trip to Earth, to find their new home, a gigantic ship went through their path. The ship belongs to a certain crazy titan. In Black Panther we see at last the mental and spiritual rebirth of Bucky Barnes, who left behind his days as a winter soldier and now, in Wakanda, he is known as "the white wolf". The scene of Avengers: Infinity War It was incredibly important because it not only includes the return of Fury and Maria Hill, but also the last message of help from the leader of SHIELD using a very interesting device, a pager (beeper) modified that showed what appeared to be the symbol of a certain captain. This scene confirmed that Hank, Janet and Hope disappeared with the snap of Thanos, but more importantly, he gave us a glimpse into technology related to the quantum kingdom that could be a key part of the plot. Avengers: Endgame. Finally, the scene of Captain Marvel brings us back the famous beeper of Fury, only this time it was found by the Avengers and they are trying to understand what the SHIELD leader was doing with that device just before disappearing. The beeper it goes off, and it's because the message has been received. Carol Danvers has arrived and asks: "Where is Fury?" We will have to wait to see the consequences of the arrival of Carol Danvers to Earth after this emergency, and how she participates in the fight against Thanos. Avengers: Endgame it opens on April 25.